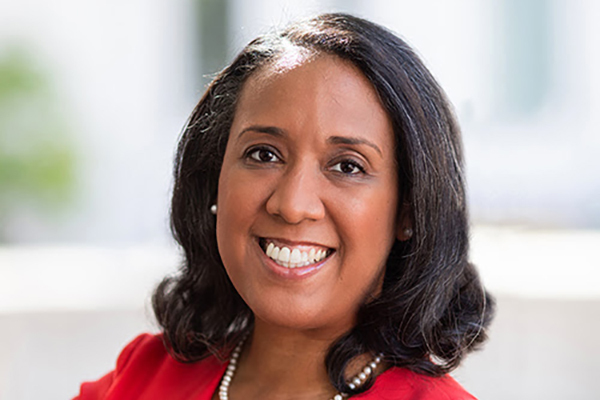 In "The New Black Politician: Cory Booker, Newark and Post-Racial America," Emory University political scientist Andra Gillespie uses Newark, N.J., and its mayor, Cory Booker, as a case study to explain the breakdown of racial unity in black politics. 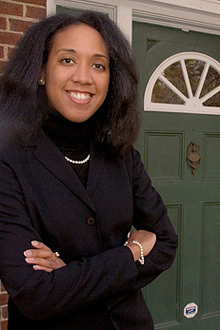 Andra Gillespie, book author and political science professor. Emory Photo/Video. Newark, N.J.'s Cory Booker – one of the nation's most visible city mayors – is more than a singular success story. His rise to power represents a dramatic shift in American politics as a vanguard of young, affluent black leadership has emerged the past 15 years. These "new black politicians" often clash with older generations of African American leadership for power while reshaping municipal and national politics in the process. 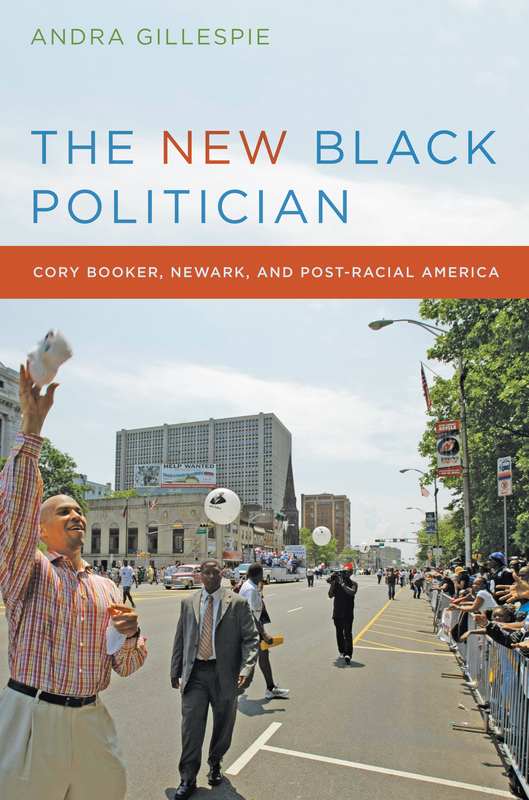 In the just-released book "The New Black Politician: Cory Booker, Newark and Post-Racial America" (NYU Press, 2012), Emory University political scientist Andra Gillespie uses Newark as a case study to explain the breakdown of racial unity in black politics, and challenges our current understanding of the connection between racial solidarity, voter choice and policy preferences. The 2002 Newark mayoral race, which featured a contentious battle between two African Americans – the young challenger in Booker and the more established incumbent Sharpe James – is one of a series of contests in which young, well-educated, moderate black politicians have challenged civil rights veterans for power. Gillespie examines the decade-long evolution of African American politics in New Jersey's largest city and its meaning for American politics at large. "I have been interested in uncovering the complexities of young black leadership since I witnessed that contentious mayoral contest in in 2002," Gillespie says. "I was fascinated in how these two black Democrats ran against each other. You had Sharpe James, an older, established stalwart of the Civil Rights era running against Booker, this young, polished Rhodes Scholar, the up-and-comer." "It ended up being a race about racial authenticity, about who was "black enough" to run the city of Newark. My observations during that campaign helped to shape the questions that drive my research today," she says. Booker's rise to power demonstrates how younger African Americans seeking office often build political alliances that circumvent the traditional black political establishment, and deliberately work to establish more diverse appeal, outreach and power centers among the electorate. It was with such a multi-cultural coalition that President Barack Obama, originally a political outsider, propelled himself to the White House, Gillespie says. Based on eight years of intense and ongoing research, Gillespie shows that while both poor and affluent blacks pay lip service to racial cohesion and to continuing the goals of the Civil Rights Movement, the reality is that both groups harbor different visions of how to achieve those goals and what those goals will look like once achieved. This, she says, "leads to class conflict and a very public breakdown in black political unity, providing further evidence of the futility of identifying a single cadre of leadership for black communities." The book, which features first-hand observation and interviews with many of the key players in Newark (including Cory Booker himself), provides an on-the-ground understanding of contemporary African American and mayoral politics. In the book, Gillespie explains why Booker lost in 2002, how he was able to win in 2006 and was reelected in 2010. She examines the degree of progress he has made in reducing crime, improving the city's economics and other benchmarks of success. She also provides a framework of advice for younger African Americans considering forays into politics. Gillespie also is the editor of and a contributor to "Whose Black Politics? Cases in Post-Racial Black Leadership" (Routledge, 2010). This book uses case studies of prominent black elected officials born after 1960 to shed light on whether the advent of a new generation of black political leadership will actually revolutionize our understanding of African American politics. She is an associate professor of political science at Emory University.